56 mins - Everton 0 Manchester United 1: PENALTY SAVED BY DE GEA! 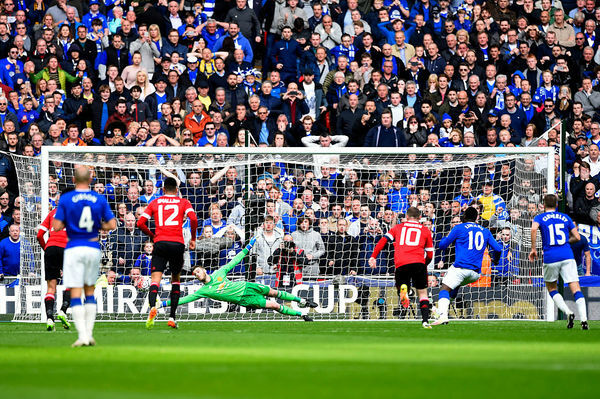 Romelu Lukaku's spot kick wasn't bad by any means, but what a stunning save by the David de Gea! Lukaku put all his weight behind that but the United goalkeeper predicted correctly, diving to his right, and Louis van Gaal's men escape again. How often do they rely on De Gea? At times, this has been one heck of a Cup tie. 57' - #DaveSaves the penalty!!! !